Prior to that, history tells us that business people had to carry disks with files on them, and more recently flash drives and memory sticks. The problem with this was you could never really be sure if you had the most recent information. That meant everyone may not be "singing from the same song sheet" so to speak. Clearly, it wasn't the most efficient process, but it was what existed prior to cloud services. That's not to say a small business can't do the same and realize the same type of return over time. However, there may be upfront costs that make it difficult to move everything. Also, when you move everything to the cloud, there can be considerable downtime to complete the process. While a larger business may be able to absorb this period with no business, a smaller one may become financially impaired. An alternative is to still consider migrating your entire business to the cloud, but doing so in a stepwise fashion. With each phase, you'll experience far less downtime that might adversely impact your business. Additionally, this will help you budget more effectively for the upfront costs associated with investing in cloud services and platforms. 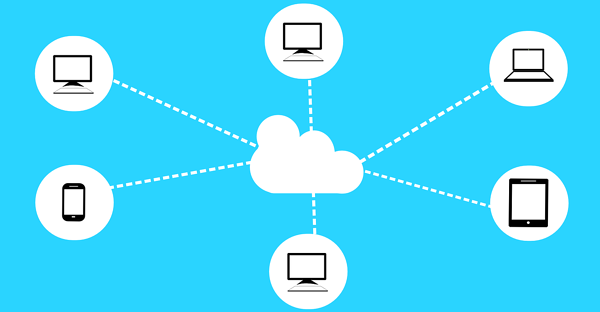 Look at applications you already use to see if they offer cloud capability. These include accounting software like QuickBooks and communication services like Skype. Collaboration and project management apps like Slack and Basecamp are cloud-based, as well as calendars like Office 365 Calendar. It's a good start to try these out for their cloud capability so you can see the benefits of moving to the next functional layer in your company and transitioning those applications to the cloud. Since people and processes tend to be one of the most challenging aspects of migrating to the cloud, this gradual approach will help with the adjustment period. In fact, you may already be using a cloud tool and not realize it. Dropbox is one of the most commonly used, and it doesn't require other aspects of your business to be in the cloud. This means you can leverage a remote team to help you rather than having on-site employees. Also, the aforementioned apps that may already have cloud capability may be enough for your business in terms of productivity improvements that you don't have to consider any other cloud services until you grow further. Make sure they can scale with you as your business grows. Also, by only moving certain functions, you can create additional backup strategies just in case the unexpected happens. Lastly, don't assume the most expensive cloud services are the best because some of the low-cost cloud tools are just as great and maybe even better for what you need.